It is bad enough that the University of Regina won’t heed the recommendations of Saskatchewan’s information and privacy commissioner to release research funding information. Now the university wants legal arguments to be submitted confidentially in a closed court. You’re not alone if you did a double take on that. The issue arose in November 2017 when Emily Eaton, an associate professor in the university’s department of geography and environmental studies and a Corporate Mapping Project core team member, filed a freedom of information request for her research into the influence of fossil fuel industries on public education. the dollar amount of the funding. the funding agency/company awarding the money. the department, faculty or school that received the funding. When the university denied her access to the ‘funding agency/company awarding the money’ and ‘the department, faculty or school receiving the funding’ she appealed the non-disclosure to the office of Saskatchewan’s information and privacy commissioner. The information and privacy commissioner issued a final report on November 28, 2018 recommending that the university release all of the information that Eaton requested. The university said no, citing academic freedom and argued that releasing all of the information would have a “chilling effect” on research. Although she has the support of the University of Regina Faculty Association, Eaton is covering the cost of the court appeal herself and has started a GoFundMe campaign. In addition to withholding information that should be public, Eaton says that fighting the case in court is a poor use of the university’s scarce resources, especially since the expert on the legislation ruled that the information should be released to the public. 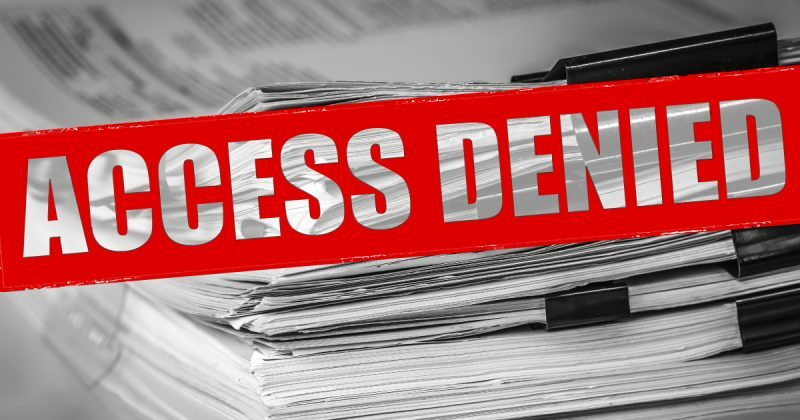 The university maintains it is entitled to refuse access to all details of academic research under a section of the Local Authority Freedom of Information and Protection of Privacy Act. Eaton says the university is denying her an important part of her research agenda, which is why she is going to court. “I was pursuing this data, not to cast the university in a bad light nor for any malicious reasons, but in order to gain access to data that I need for my academic research—research that’s been approved by the top funding agencies in Canada,” Eaton said. The University of Regina’s application to make the arguments from both sides confidential in closed court will add substantially to Eaton’s costs since her lawyer must first argue that the case should be heard in open court. Costs are estimated between $12,000-$14,000. If you believe in academic freedom and the transparency of universities, please consider donating to Eaton’s GoFundMe campaign. Emily Eaton is an associate professor in the Department of Geography and Environmental Studies at the University of Regina, and a co-investigator with the Corporate Mapping Project. She is the author of Fault Lines: Life and Landscape in Saskatchewan’s Oil Economy and Growing Resistance: Canadian Farmers and the Politics of GM Wheat. She has been studying Saskatchewan’s oil economy since 2010.